Today data is the lifeblood of any organization and the efficiency with which the correct data flows between systems and people (both internal and external) can make all the difference in today’s hyper-competitive and rapidly changing market. As hard as many companies have worked at integrating systems and automating data flow, the reality is that it has been prohibitively expensive to do even on a medium, let alone, on a large scale. Systems integration has required expensive process analysts, programmers, integrators, and consultants – and those costs are replicated everytime a change to an integration is needed. So today most data flows in companies resembles something like a cross-country journey to deliver a package – you may start the journey on a highway but then reach a river with no bridge so you have to transfer to a boat but the boat only crosses twice a day so you wait – when it arrives you can take the package onboard but not your vehicle – so upon reaching the other side you need to transfer to a different mode of transport, perhaps a train but the train terminates some distance from your final destination and in fact adds miles onto your journey. In other words, you can get your package to the destination but the process is not efficient because all the different parts of the journey do not work in sync or are not connected in any meaningful way. In fact don’t just think of this analogy in terms of cross-country but think transnational – pretty much all countries and cultures are interconnected and we are all competing in the same global marketplace. If you want to successfully sell your products or services worldwide you need to be able to cross international boundaries and overcome logistical obstacles to quickly and easily reaching your customer. 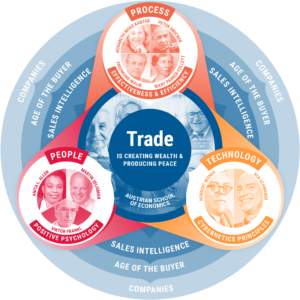 Trade, like data flow, has to be easy, fast and simple. Now imagine a scenario where you could draw on a whiteboard the most direct and efficient way to get your package from point A to point B with all of the different transportation systems working seamlessly in collaboration and synchronized to eliminate wait times. And you had a technology that would quickly and easily deliver this into reality – what would this mean to your business? 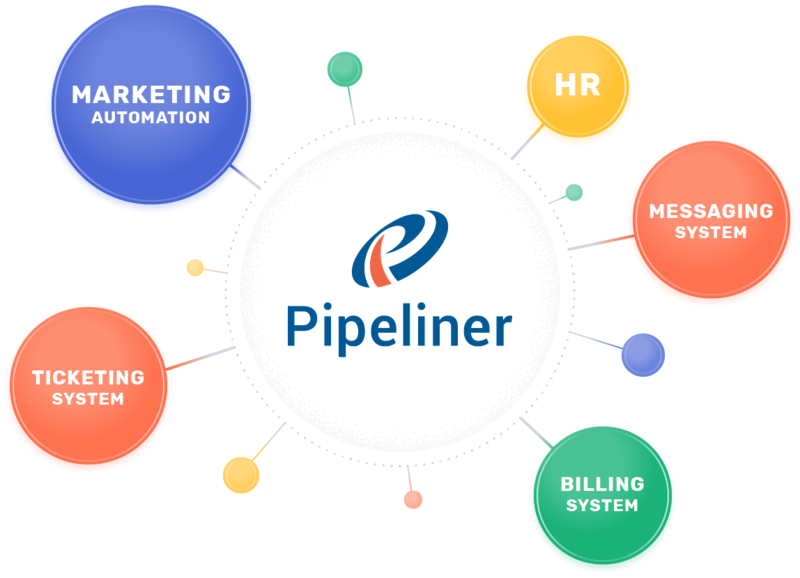 Swap the package in our scenario for business-critical data and the transportation systems for all the different technologies you use in your business and this is exactly what you can do with the Pipeliner Automation Hub. Say goodbye to the complex world of backend integration where the complexity of making systems work together and data to flow required many varied and costly technical resources. Say hello to a the world of simple, visual front-end integration where non-technical resources who work in the business can define and design the most efficient data flows – what we call efficiency flows – for their specific business needs. Now those operating directly in the business can decide what data needs to flow from system to system and can map this out to create the most efficient process flows or in other words Efficiency Flows! 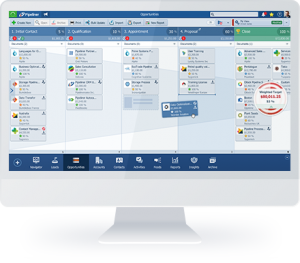 Say hello to a world where cross-functional teams can come together to map out the data flow needs of groups such as Marketing, Sales, Finance, Production, HR etc. and then quickly and easily bring these efficiency flows to life with multiple pieces of data flowing effortlessly from system to system. Where the right data arrives at the right time to the right system or person. And where these efficiency flows can be tweaked, refined and changed easily and as often as needed without requiring any coding, IT department or analyst involvement. The Promise of Best of Breed Finally Delivered! Jack of all trades, master of none – this well-known saying can be applied to the “All-in-One” systems that some vendors have tried to build to overcome the limitations and challenges of effectively integrating multiple separate systems. 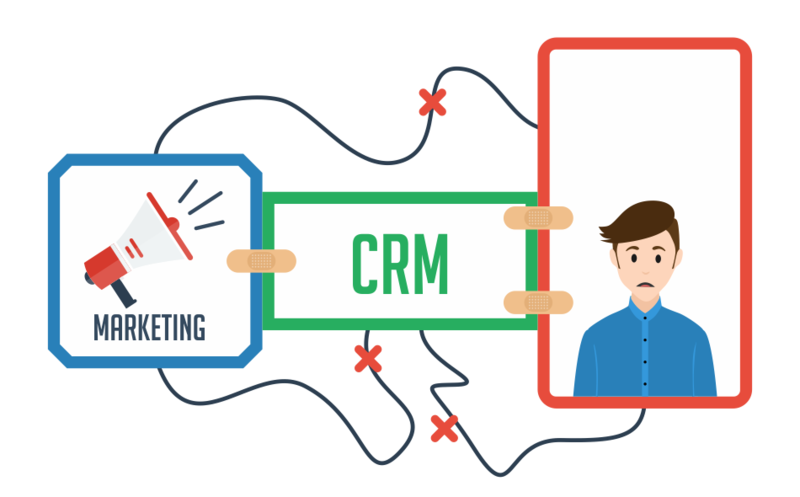 Systems, for example, that include sales CRM features, marketing automation capabilities and a support ticketing system. The problem with such systems is that there are always big gaps in the quality or feature set of each component – so while you may get “All-in-One”, you don’t get “All-the-Same-Quality”. The reality is that every vendor has a core competency and rarely manages to replicate that when it comes to another discipline. This is why Best-of-Breed has always been what most companies are in favor of using. It has just been the fact that integrating disparate systems has been too hard and costly thus making All-In-One systems an option for some by default. Most “All-in-One” systems do not deliver on their promise and even worse can make a company more ineffective while employees become frustrated at not being able to use the best app for their particular need. So what initially looked like a good compromise ends up reducing productivity which in turn wastes time and costs money. 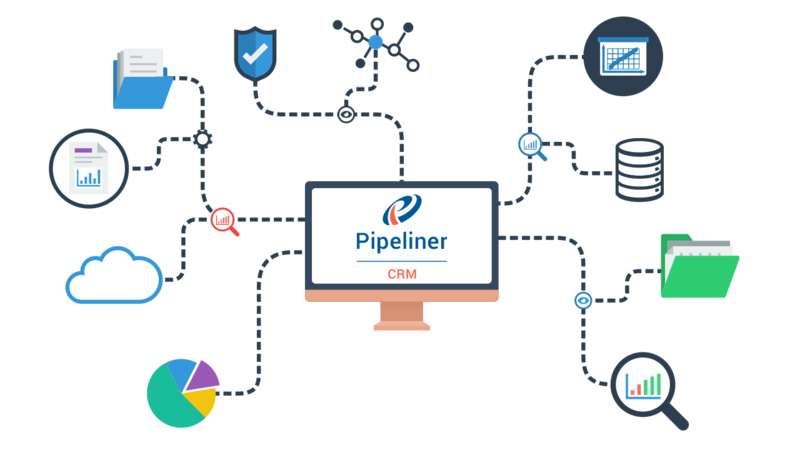 The good news is that with the Pipeliner Automation Hub, you can finally integrate any Best of Breed system with Pipeliner CRM at the core. 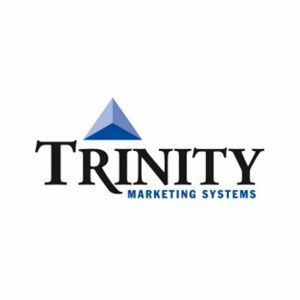 Now you can select the Marketing Automation system, Support Ticketing system, Quoting system or any other system of your choice and have them work seamlessly together. Think of the efficiency flows you can build that follow and support the buyer journey from prospect to repeat customer. We know that because integrating systems has been so hard and expensive many companies have compensated by leveraging people to fill in the gaps or point solutions to solve problems in isolation. This has added expense and complexity to many businesses but little if any efficiency. The Pipeliner Automation Hub now provides companies with the ability to not only leverage the systems they have but to assess if all of these systems are needed once you have seamless data flow between your core applications. The possibility of consolidating systems and reducing them to the business critical best-of-breed is there and the cost savings could be significant. Now a business can finally scale efficiently and deliberately rather than by simply throwing people and point solutions at every problem which is often the case today. 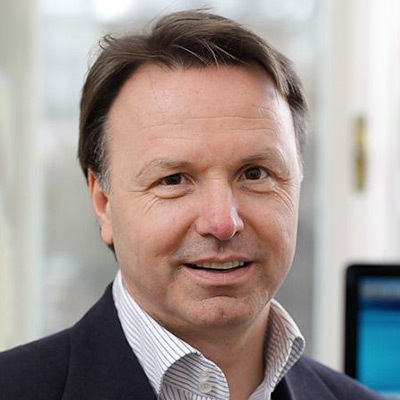 The customer is central to the success of any business and yet most businesses struggle to deliver an integrated customer experience. 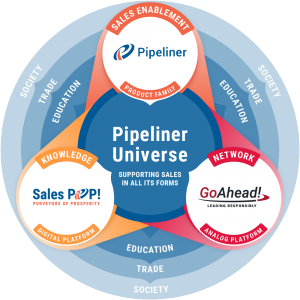 This is why it makes sense that Pipeliner CRM would be at the center of the Pipeliner Automation Hub.